Well, I was working on publishing Rose's Thorn as an eBook at Smashwords, and I somehow published it unwittingly. Rose's Thorn is one of the darkest pieces I've ever written, and I'm not sure I'll ever write anything darker than it honestly. The content of the piece is not for the faint of heart, as it blends domestic violence in a horror/fantasy/supernatural setting. The piece originally started out as my first take at writing a super hero. But this is not your usual comic book super hero by any means. Many thanks to +Philip Neale and my mother-in-law for editing this piece some time ago, and shame on me for sitting on it for so long. Also, thanks to +Morgen Bailey for her piece about publishing through Smashwords, though I am afraid my first walk in the park was a little clumsy. Follow the link in the FB post below to purchase and get reading. Be sure to leave a review and let me know what you think. It's a short novel and reads at a pretty quick pace. Every winter in Missouri for the past five years or so, I've gotten the itch to go out into the Missouri back hills and film a western. So far I haven't scratched that itch. But this winter I've come close. 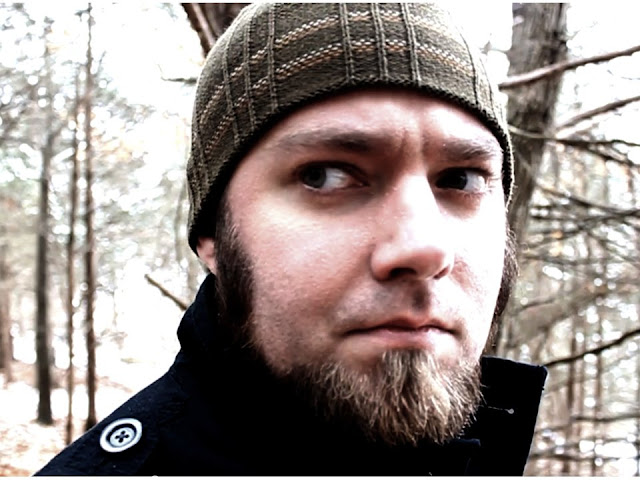 On January 1, 2013, I took +Rafe Preston into my woods and we filmed a short sci-fi western. Close enough, right? It's a short scenario/excerpt of what's to come in my science fiction piece MYRNA (read some excerpts here and here). Here are couple of snapshots for preview sake. I'm sort of back and forth on how to color-correct the short film, and part me is starting to lean towards going black and white with the piece. Color is so overrated. Stay tuned, I'll post the short film once the score has been put in and we've finalized the product. Myrna had watched her whole life, her entire tiny life, as her father went through the same vicious cycle over and over again. He'd come in the house half boozed or all the way gone, and go straight into grumbling about how much he deserved and about how much little respect he got. He would inevitably fill her and her mother in on some fellow comrade in the UN Peace Federation. Her father was a captain, though at her young age she couldn't fathom how he had climbed to such ranks with such obviously despicable behavior. What she didn't realize is that she and her mother were alone in the plight against the despicable Captain Jon Fletcher.